Welcome to Gay City: Seattle's LGBTQ Center, an organization where our staff and volunteers, our programs and services, and our drive and spirit reflect the resilience and power of Seattle’s many LGBTQ communities. Gay City’s Wellness Center, our LGBTQ Resource & Referral Program, our Gay City Volunteer Crew, and Gay City Arts all provide multiple ways for our community to gather, connect, find voice and serve. Gay City is an organization that listens and responds, and that continues to evolve. We are a destination for the LGBTQ community to grow and thrive. 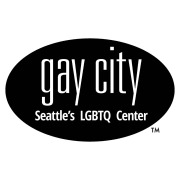 Gay City is Seattle’s LGBTQ Center. Would you recommend Gay City: Seattle's LGBTQ Center?